To attract wealth luck & good business turnover. A rotating ball fountain with auspicious design will attract and increase wealth to be placed at the entrance of the premises or north. 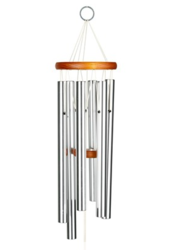 We are engaged in manufacturing and exporting a wide range of musical chime. Feng Shui, an ancient Chinese method of object placement, focuses on the flow of "chi, " or energy. Product Detail:Size: H 25.5" x W 6"